Technology and automation is rapidly driving change in the engineering sector and our mechanical engineering programmes are transforming to better meet the needs of your industry and learners. Following an extensive review process, programmes leading towards New Zealand Certificates will replace the current National Certificates later this year. 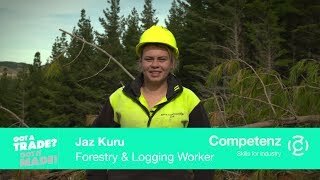 Competenz has developed these programmes in conjunction with industry experts across New Zealand. The new programmes are going through a final approval process and we will let you know when they are due to be launched. Enrolments for National Certificates are still being taken and apprentices have until 2022 to complete. The learning resources to support the theory content for these programmes will be delivered through our online learning platform Canvas. How is this different to the current delivery? Learners can access Canvas anytime and anywhere via smartphone, tablet or computer. Competenz current online learning resources were not developed to be delivered via the Canvas system so we’re aware this hasn’t always been the best user experience. The new content will provide a much improved, interactive experience for the learner. Housing the learning resource online will enable us to react quickly to technology developments or changes in legislation (for example the Health and Safety Act) to ensure the materials are always up to date. How is this different from the current delivery? The assessments are all available in one place and are always the latest version of the assessment. So when an apprentice prints off their assessment, they know it will be the correct version. The old material was printed off a flash drive that was given to the apprentice at the start of each year, which created potential issues if versions changed during the year or the apprentice lost the flash drive. Other support options are being finalised and we’ll let you know more detail prior to the new programmes being launched. If you have any questions about the coming changes, please speak to your Competenz training advisor, regional manager or call our Customer Services team on 0800 526 1800.